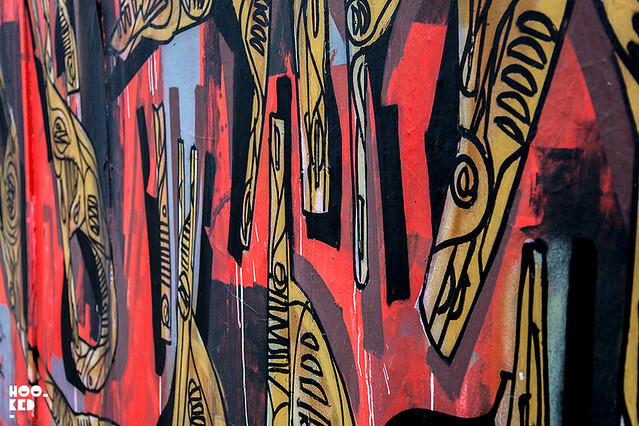 Last weekend we caught up with Brazilian artist Ciro Schu as he was putting the finishing touches to his new mural in Shoreditch, adding his signature to the wall before the heavens opened up! 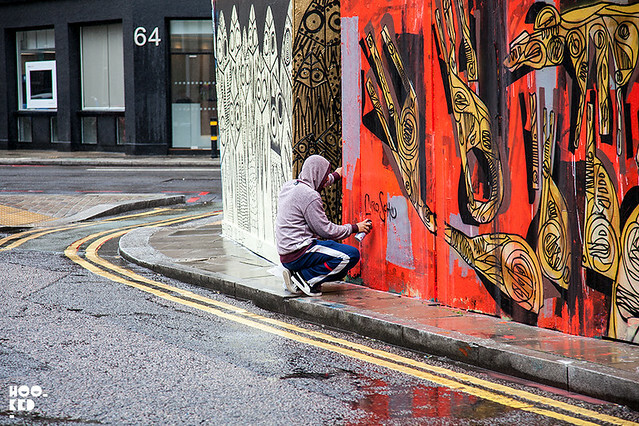 We grabbed a few shots of Ciro Schu and his work before having to take cover from the heavy rain. 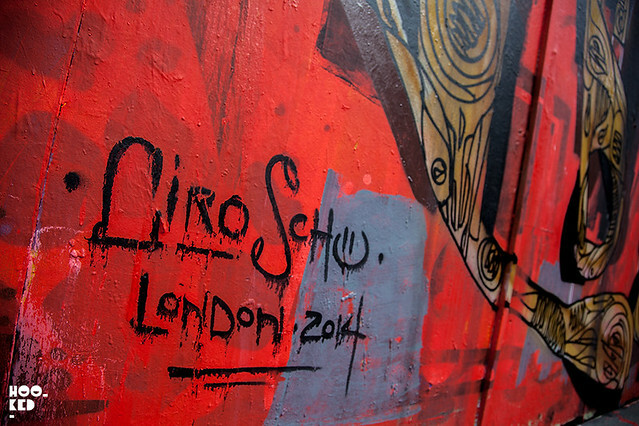 Ciro Schu has been travelling over the last few months creating works both indoors and outdoors together with Miss Van. 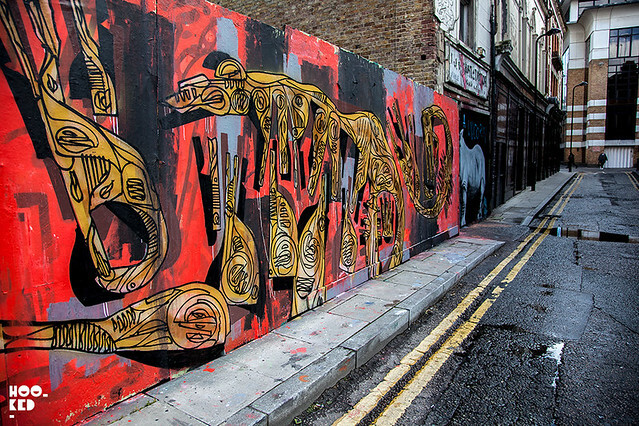 The artists were last in town a few month's back they collaborated on a mural with London artist Pure Evil which can still be seen on New Inn Yard, London (covered here). 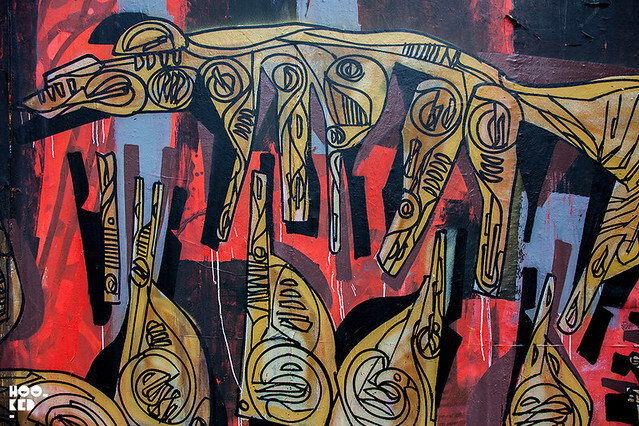 Ciro Schu was back in London with Miss Van for the opening of her solo show 'Glamorous Darkness' (covered here) currently on show at StolenSpace. 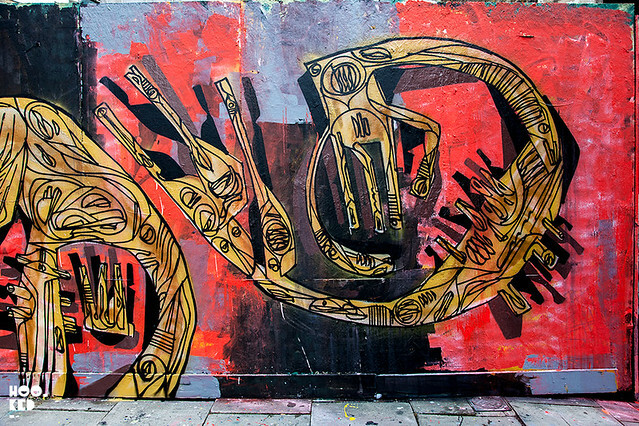 Making the most of his visit Ciro Schu took the opportunity to create this new piece.